While watching an episode of "The Goldbergs"- which had shown a clip of "The Dating Game"- I wondered if Crackle had such a show on it (they don't) because I really wanted to see the old episodes- for free- after being reminded of them. I downloaded the Crackle app because I can cast it with Chromecast to my television (Though it is also on the Blu-Ray player) and it is free so I figured I could see what they have and possibly watch something on it some time. I began by watching the show "Breaking In", so what comes next is based only on watching a series and not a movie so i might update this after watching a movie on Crackle. In the interest of full disclosure and while I have both Netflix and Hulu I must admit that I don't mind having commercials on Hulu (vs. no commercials on Netflix) because if I'm watching something and see "Ad 1 of 3" come up on Hulu it gives me time to get up and walk around, get some food, go pee, you know, stuff like that which I'd have to pause Netflix for or try to do in that countdown between episodes. That being said, while watching Crackle I have seen several different commercials but there have been three big ones which keep coming up all the time. One is for Verizon and features Ricky Gervais, which I also see on Hulu so apparently if you want some advertising money just ask Verizon, the other is for Jack In The Box which is nowhere near Connecticut and so that's kind of sad but the third is the strangest of all. I can understand that Crackle might not realize it will take more than the "star power" of Ricky Gervais to get me to switch from AT&T- which I've had for phone service for well over ten years now- and maybe their location tools don't work to know that Jack In The Box isn't on the east coast but I am. But how and why does Crackle have a commercial for Season Two of Daredevil on Netflix? While I realize that Netflix costs money per month and Crackle is free, they are still kind of in competition with each other and instead of saying "Hey, watch this on Crackle", they are literally telling me to close out the Crackle app and open the Netflix app. In the time of television this would be a huge mistake as it would be the same thing as telling your viewers to change the channel. Who would actually say, "Hey, we're not really showing you anything good right now, so go ahead and switch over to Fox because 'The Simpsons' is funny"? It might just be me, but yes, seeing a Netflix ad on Crackle had me wondering if they had the same parent company and after a quick bit of google research it appears as if they do not. Commercials aside- and there will be commercials, but not *that* many more than Hulu and since you're not paying for Crackle it's easier to get through them- Crackle really only has some basic problems. For one thing, when I'm watching a series such as "Breaking In" it doesn't have continuous play, meaning I have to go back into the app and start up the next episode. Netflix has always done this- started the next episode on their own- and Hulu didn't use to when we first got it but they since have changed. Perhaps it is just a matter of time until Crackle realizes if they want me to marathon a show I shouldn't have to go into the app and press play for each and every episode. And oddly enough, if I had the app left open and tried to scroll down to the next episode and press play nothing would happen. I'd have to exit out of the app, then open it back up again and then find the show, find the episode and press play for it to start the next episode. This is just a lot of needless steps. I also began marathoning "Breaking In" on a Saturday and when I came back to watch it on Sunday again I'm glad I remembered where I left off because Crackle didn't. There was nothing to show "continue watching from Episode 6 because you've already watched the first five". I suppose you have to pay for that type of technology, even though Crackle did require that I make some type of free account and receive emails from them. The only other issue I've experienced with Crackle right now is that while watching "Breaking In" the last episode of Season One gave me a pop up window that said it was not available to view on Chromecast when every other episode of Season One let me cast them and while I thought maybe it just cut off after six episodes I was able to start the second season on Chromecast so that was rather weird to say the least. I'm not sure if I'll encounter this in other shows or not, but with "Breaking In" it kind of doesn't matter because it will be off of Crackle in April 2016 and maybe they'll have it fixed if they bring it back. 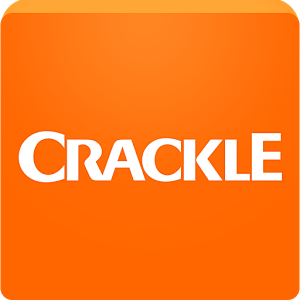 Otherwise, Crackle is just full of a lot of great, free content and if you have Chromecast or a Blu-Ray player and are not taking advantage of it being free and all then I don't know what to tell you because the reviews of shows I'm watching on Crackle are about to come rolling in.